It is with great sadness that the loving family of Gerald Vincent Kilfoil announce his passing on Thursday, February 25, 2016. He passed away very peaceful at his beloved home in Johnville. Born April 9, 1925 in Johnville he was the son of the late Vincent and Mary (Crain) Kilfoil. Survived by wife Anna (Bell), children Mary (Ed) Leech of Halifax, Gerry (Donna) of St. John’s, NF, Vincent (Brenda) Bristol, Pat (Andrea) Johnville, Michelle (Peter) Noonan, Kathrine (Peter) Wood, Lincoln Pennsylvania, Maria of Amherst, Massachusetts, Mike (Wanda) Osgoode ON, Sean (Corinne) Bath, step son, Mitchell York (Shawn) Bristol, 21 grandchildren, sisters Frances Johnston, Fredericton, Margaret McHarg, Saint John and Murray (Peggy) of New Glasgow, NS. Predeceased by his first wife Joan (Brennan) and brothers William, Raymond, Harold and two infant brothers Clarence and Joseph, nephews Allison and Stephen Brennan and Martin and Eric Kilfoil, as well as several brother and sister in laws. Gerald spent his life doing what he loved most: farming, working in the woods and raising his family. As the children were growing up this often included many family vacations to Prince Edward Island. In later years, he and Anna traveled to Nashville, Branson, New York City, Florida and Ireland. They also visited with family in Newfoundland, Ontario, Pennsylvania and Nova Scotia. His pastimes included gardening, hooking rugs, reading, and taking drives around the countryside to check on all the crops. After lunch he often enjoyed having a nap on the kitchen cot. There was nothing Gerald loved more than hearing all the news from both family and friends and he usually had a few stories to share with anyone who stopped in for a visit. He was truly happy when his children and grandchildren all gathered in the kitchen for a big home cooked meal telling stories and sharing events in their daily lives. Gerald shared a keen interest in genealogy and local history with his siblings. He was very dedicated to the church and interested in the community. 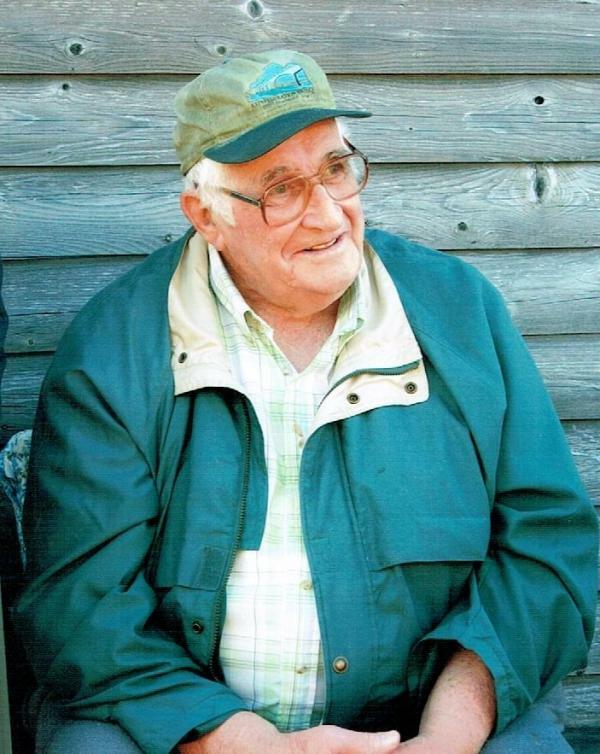 Over the years, Gerald volunteered his time to many groups and committees. The family would like to extend a special thank you to Dr. Colin Lockhart and the dedicated home care workers, without their care and support Gerald would not have been able to stay where he loved - home on the farm. Visitation will be held on Sunday, February 28, 2016 from 2 to 8 pm from L.R. Giberson Funeral Directors, 207 Burnham Rd. Florenceville-Bristol. A Mass of Christian Burial will be celebrated on , Monday, February 29, 2016 at 11:00 am at St. John the Evangelist Church in Johnville. Gerald’s nephew, Rev. Bill Brennan and Rev. Owen Burns as co-celebrants. Interment will be in the Johnville Cemetery at a later date. Donations can be made to the Johnville Cemetery Fund, the Martin Kilfoil Memorial Fund or the Canadian Cancer Society.